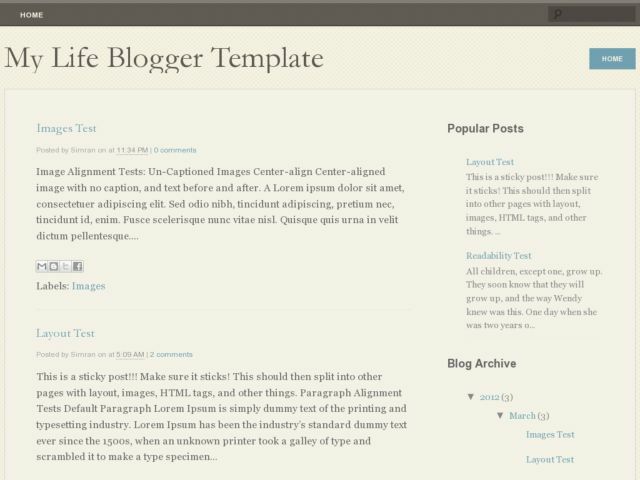 My Life Blogger Template is a free blogger template adapted from WordPress Theme to Blogger Template. Template features : simple design, 2 columns, right sidebar, brown, 3 nav menus, fixed width. This template suitable for all type of blogs. Download My Life Blogger Template at Blogger Templates Gallery.